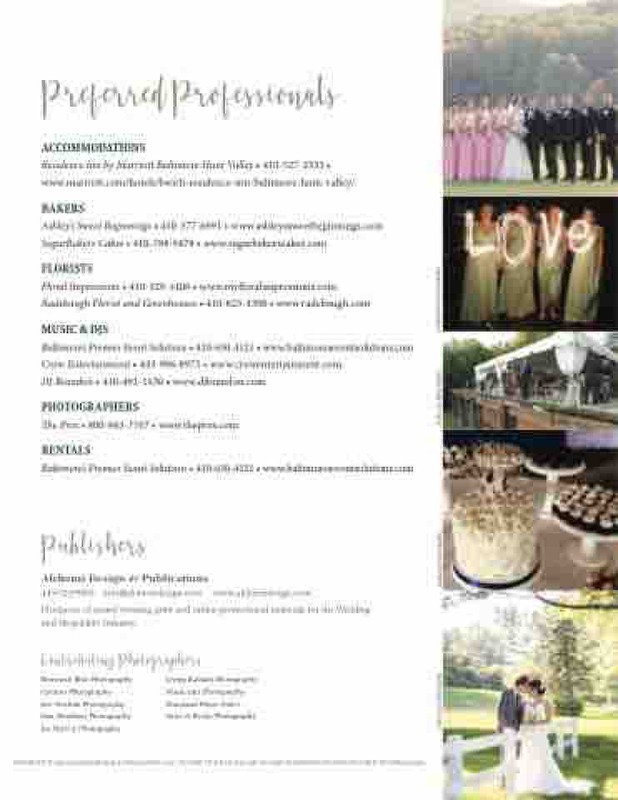 Producers of award winning print and online promotional materials for the Wedding and Hospitality Industry. copyright © 2018 Alchemi Design & Publications, LLC. No part of this book may be used or reproduced without written permission.